Post-Impressionism who settled in San Diego in 1908. His plein-air paintings provide an historical record of the growth of San Diego in the early 20th century. Mitchell was an adventurous young man, who, as a teenager, went West to Nevada during the Gold Rush where he prospected for gold and drove a coach. Then he went to Southern California, and in 1913, began training at the San Diego Academy of Art. This was the city’s oldest art school, and it had been founded by Maurice Braun, who regarded Mitchell as one of his most important pupils. 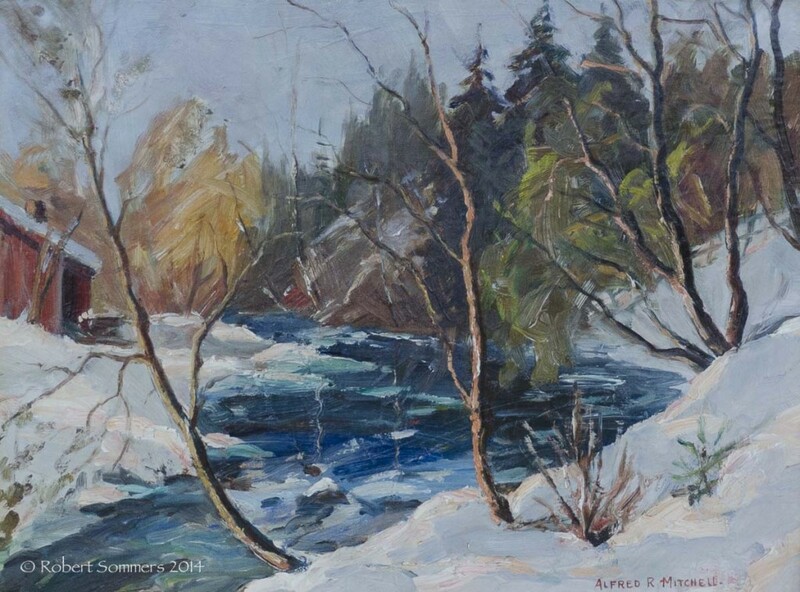 He encouraged Mitchell to return to his native state and study at the Pennsylvania Academy of the Fine Arts. Enrolling there in 1916, Mitchell studied with Joseph Pearson, and New Hope Impressionists Daniel Garber and Edward Redfield. With these influences, his style turned from Braun’s ‘feminine’ Impressionism toward the Pennsylvania school’s stronger brush work and strong color as well as clear light and strong outlines. 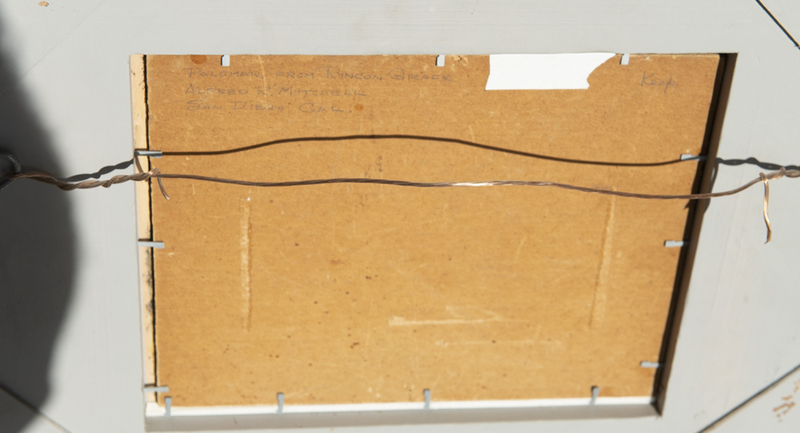 Mitchell returned to San Diego in the early 1920s and became a major influence in the art community. He was president of the San Diego Art Guild in 1922-23; he helped found the Laguna Beach Art Association; and in 1918, the La Jolla Art Association where he exhibited his works regularly. Along with Braun and other artists and sculptors, Mitchell formed the Associated Artists of San Diego in 1929, later changing the name to Contemporary Artists of San Diego, which as a group represented the strong professional art community that had developed there. 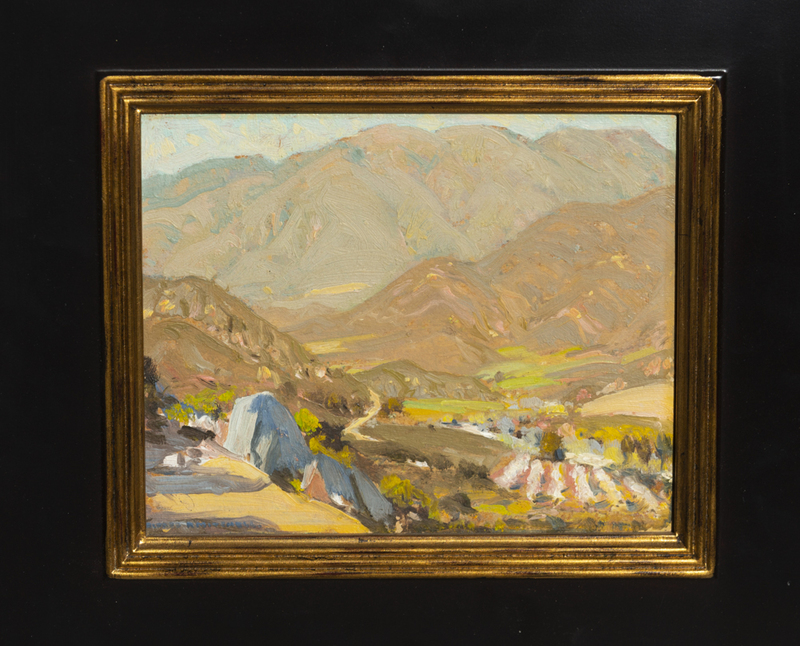 Because of its strong color and emotional undertones, much of Mitchell’s art is categorized more as Post-Impressionistic, although his painting “Summer Hills” of 1929 is a fully Impressionist piece. 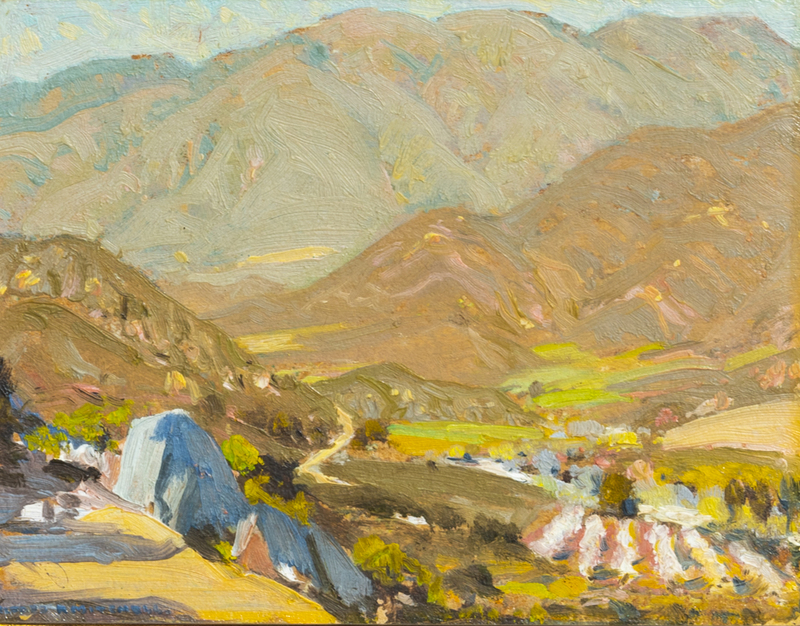 Many Southern California landscapists of the 1920s composed ideal scenes within their studios, but Mitchell continually painted outdoors, “en plein air”, within a radius of San Diego, and often included buildings in his paintings, thus creating a valuable record of the development of the area.